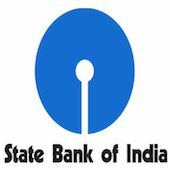 Online Application Details for State Bank of India SBI Recruitment of Physical Banking Advisor (Navy & Army) and Banking Advisor (Navy & Army) is given below. Application form should be filled. Copies of relevant documents are attached. Application form and duly attested documents are to be sent to General Manager, State Bank of India, Central Recruitment & Promotion Department, Atlanta Building, 3rd Floor, Nariman Point, Mumbai-400021. In envelope super scribed with 'Application for the Post of Post Name'.